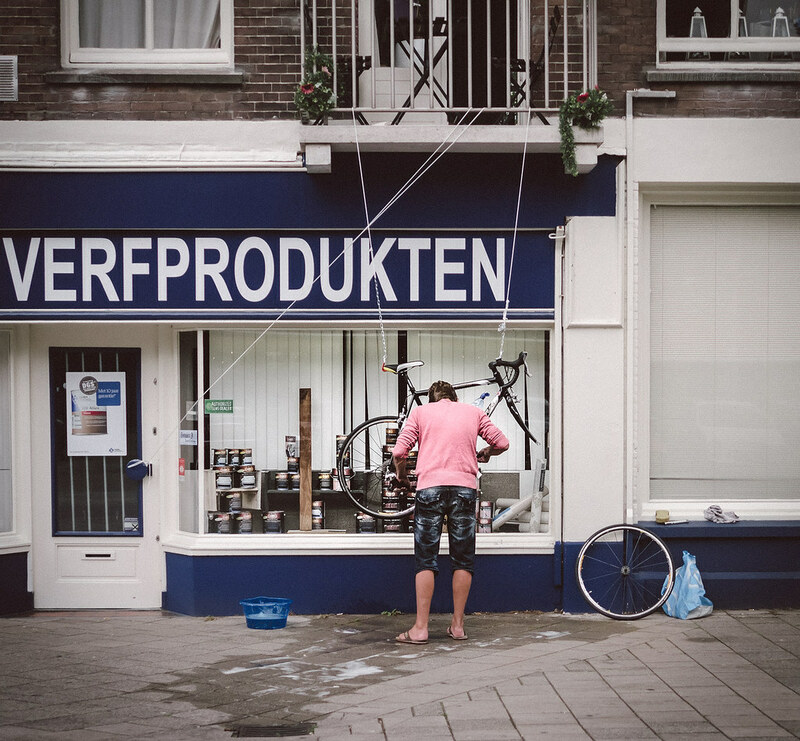 This morning I came across this guy washing his bike. At first glance, it seemed like a pretty ordinary scene. Pausing for a moment, I had to admire his method. Open spaces are pretty hard to come by in the city. Especially in a compact place like Amsterdam where most people live in buildings. This can make certain hobbies a little more challenging. Bike shops here will often hang a bike instead of clamping it to a bike. In the right situation and with some knack, this technique can apparently work well at home.